Still looking for a SIMPLE dish to feed a crowd? 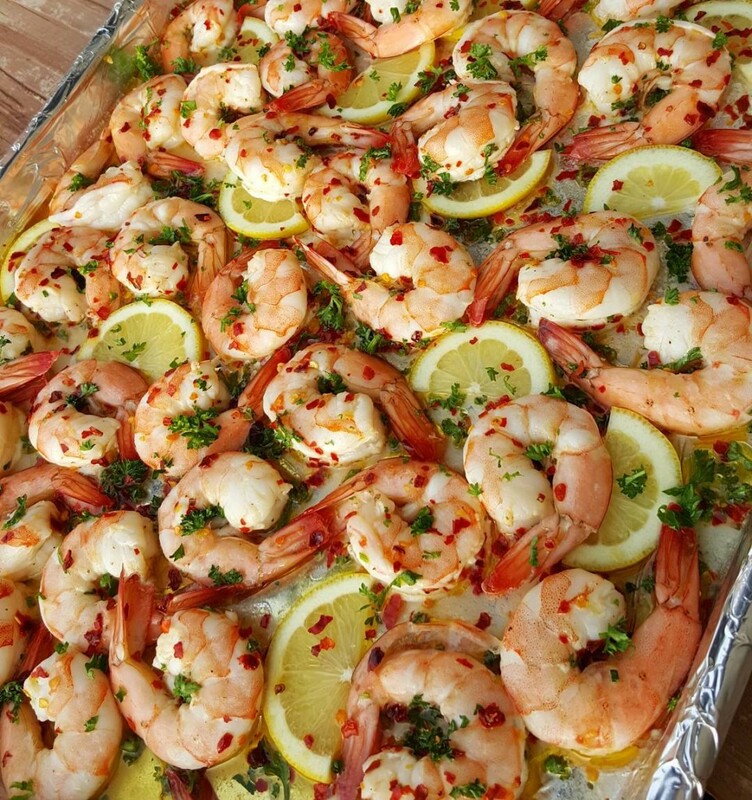 Arrange shrimp in a single layer on a large baking sheet. In a medium mixing bowl, add the oil, parsley, sea salt, red pepper flakes, garlic and lemon juice. Whisk until combined, then pour over the shrimp. Bake in preheated oven until the shrimp is opaque and the sauce is bubbling. About 8-10 minutes depending on size of shrimp. Serve hot. 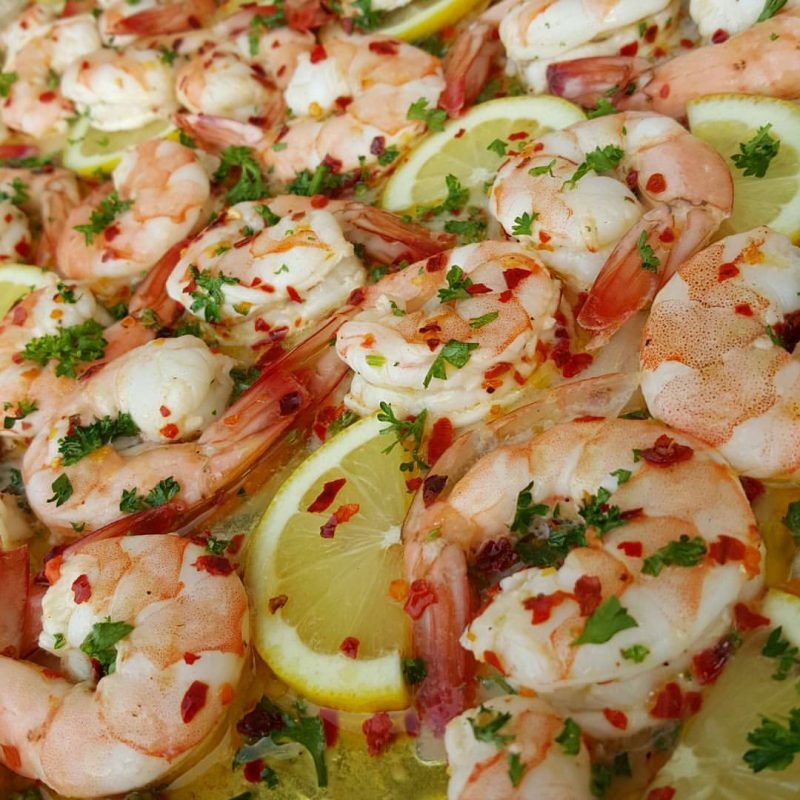 If serving buffet style, provide wooden cocktail toothpicks for your guests to lift shrimp off the hot pan.